Allow employees to experience new technology in action with interactive scenarios that are most relevant to their current needs and organizational role. 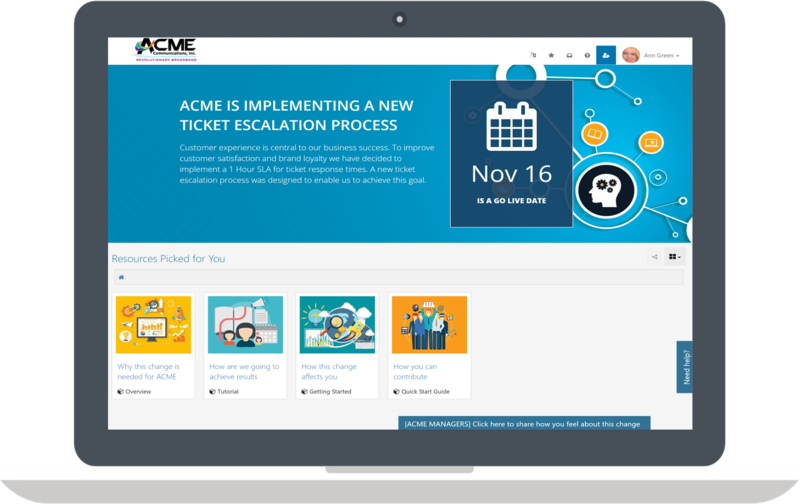 Help employees visualize how upcoming changes will impact their work and encourage to provide feedback on best ways of adopting them. 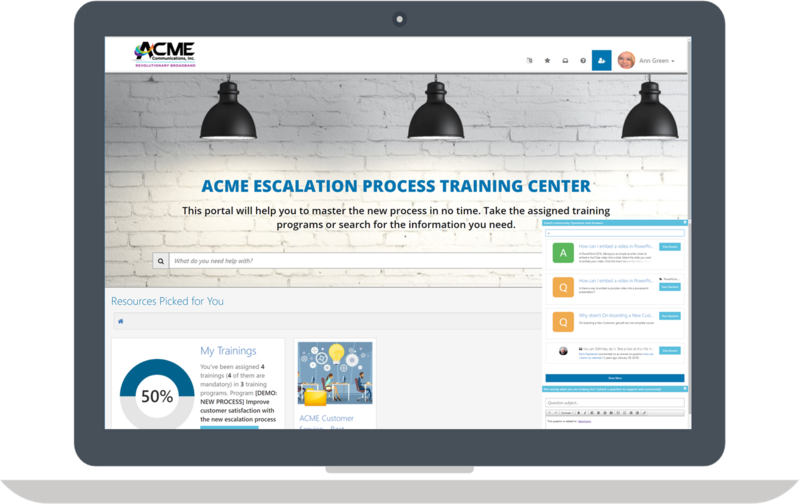 Improve employee adoption with unique and immersive training experiences instead of conventional video training that led to limited results in the past. Foster ongoing employee engagement and alleviate support burdens by connecting users to each other and providing intuitive self-service support. TeamFusion reports, quizzes, and surveys gather user feedback and track their adoption progress. 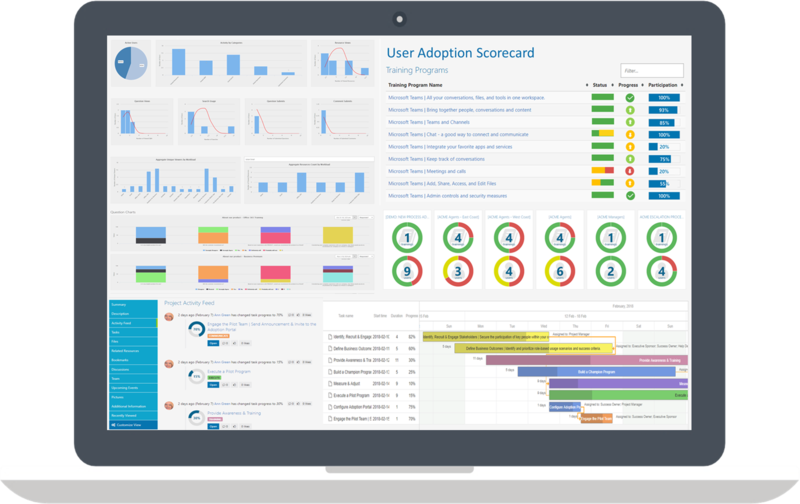 Actionable analytics measure the effectiveness of your adoption programs and discover areas where your employees may require additional help.